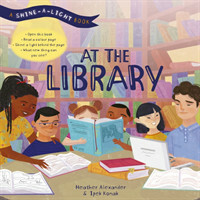 Dive inside the pages of Shine-a-Light At the Library and explore some of the most fascinating facts about our world's libraries. Life on Earth: Dinosaurs With 100 Questions and 70 Lift-flaps! Life on Earth: Ocean With 100 Questions and 70 Lift-flaps!